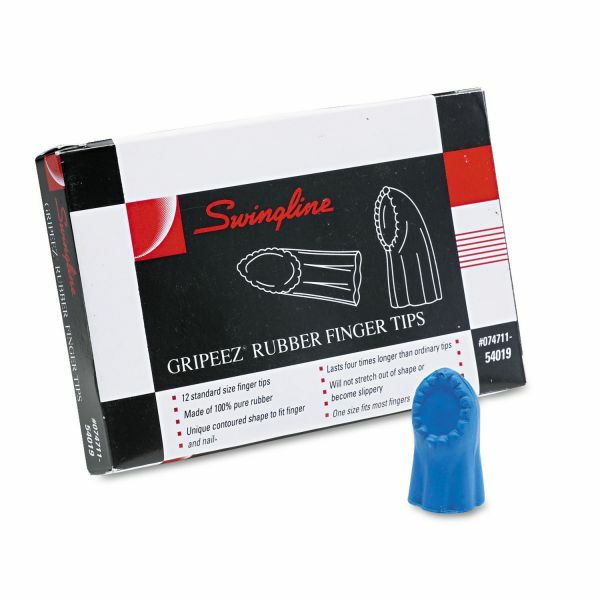 Swingline Gripeez Finger Tips, 11 1/2 (Medium), Blue, Dozen - The Gripeez&reg; finger tip has a unique design that matched the natural contour of your finger. High grade material lasts four times longer than an ordinary rubber. Blue in color; one size fits all.